Can mix compost or an organic fertiliser into the soil before planting. Celery, Sweetcorn, Potatoes and Rosemary. Plant seeds 5cm (2 in) deep and 8cm (3 in) apart in spring, after the last frost has passed and the soil is warm. Make additional sowings until midsummer. The pods of many dry beans can be eaten as runner beans when very young. Gather pods when they dry to tan. 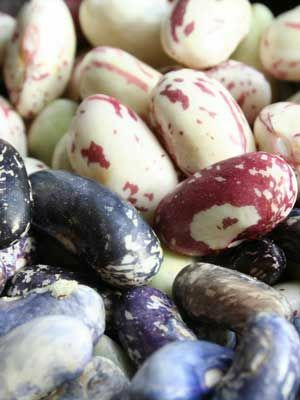 Allow the harvested beans to dry indoors for one to two weeks before storing in a cool, dry place. Most varieties produce all at once. Pods that come into contact with soil are prone to rot. Mulch to prevent this problem.